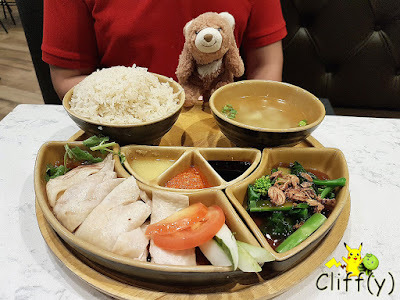 After a fun-filled day at Sentosa Island last week, my stomach was growling. Not far from Beach Station is Good Old Days, a Halal-certified self-service eatery that whips up a variety of local dishes to visitors of the island. 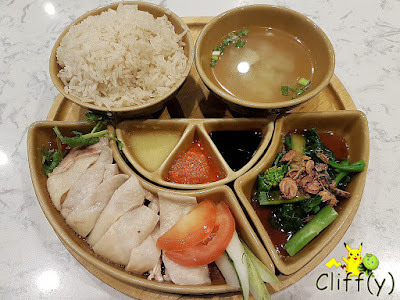 Does the chicken rice look appetising to you? I don't eat chicken rice that often these days, and Good Old Days' version successfully satisfied my craving. The chicken was succulent with gelatinous skin attached, while the rice was no doubt aromatic. I also enjoyed the oyster sauce vegetable and the cabbage soup that was naturally sweet. Another well-executed dish was the Cantonese stir-fried rice noodle with such a heady wok hei (lit. breath of the wok) aroma. 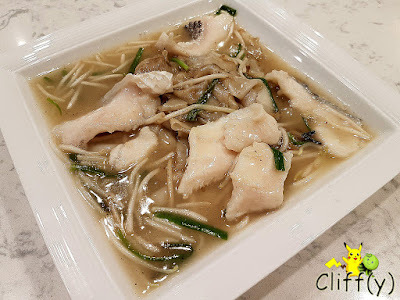 It came with fresh fish slices that were pretty thick, alongside crunchy beansprouts and chives. Apart from that, the gravy was thick enough for my liking. 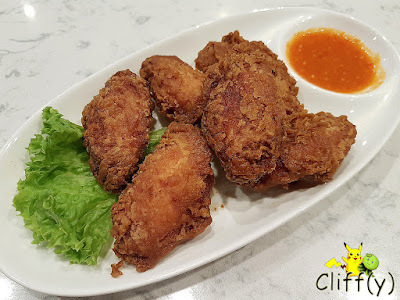 I also ordered shrimp paste chicken wings as a side dish, which turned out to be a good decision. The wings were juicy and crunchy, if a tad oily, with enough shrimp paste infusion. The chili sauce was quite spicy. To end it off, I cooled myself down with one of the few cold dessert selections. 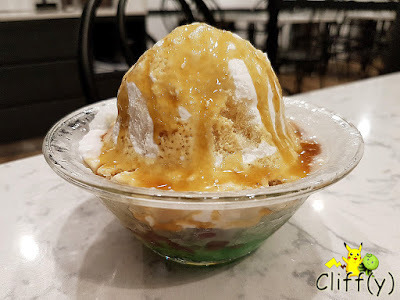 There were enough green jelly worms and red beans beneath the mountain of shaved ice. It was good that the gula melaka (Malay brown sugar) wasn't overly sweet. While the food isn't that cheap, the quality is there. 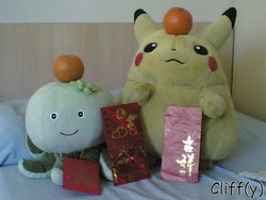 Pika's advice: If you're interested, the eatery serves Asian Dinner Buffet daily from 5.00pm to 10.00pm. At the point of writing, it's priced at S$20.00 per adult and S$15.00 per child.